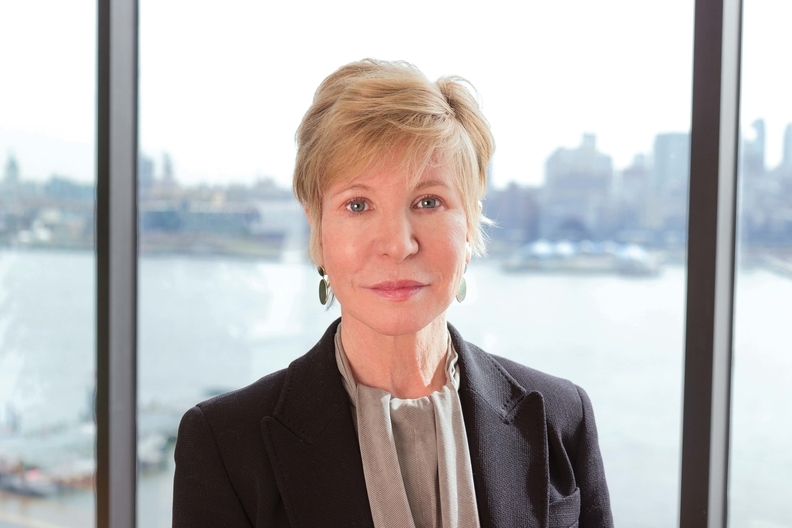 Last fall, Karen Ignagni took over as CEO of EmblemHealth—a financially troubled New York insurer with 3.2 million covered lives—after 22 years at the helm of America's Health Insurance Plans, one of the most powerful lobbying groups in Washington. Modern Healthcare insurance reporter Bob Herman recently spoke with Ignagni about the challenges she faces in her new position. This is an edited transcript. Modern Healthcare: What's it like to lead a single health insurer instead of herding cats in Washington, D.C.? Karen Ignagni: This plan has a storied past, a 75-year tradition and a very strong community focus. Without a doubt we are in a turnaround situation. As we chart our course for our turnaround, we also are creating an innovation story here. MH: Why did you decide to leave AHIP? Did you foresee UnitedHealth Group and then later Aetna exiting the trade group? Ignagni: I couldn't have foreseen it. … When I was called about this particular opportunity, I wanted to come here … because of the mission of this plan. This plan has been a mainstay for this community. We are a tri-state solution from Connecticut to all parts of New York, and we have a network in New Jersey. So we're uniquely situated to be a partner with employers, with unions, with the state and with the federal government in the context of Medicare Advantage. It was a wonderfully exciting challenge, and I like challenges. MH: You're a member of AHIP. Do you speak often with Marilyn Tavenner, the new CEO? Ignagni: I have this old-fashioned rule that I'm happy to let AHIP speak for AHIP. Marilyn is going to build her legacy and provide very strong leadership. MH: Just recently the ratings agency A.M. Best placed EmblemHealth under review. What has been most responsible for the company's financial problems? Ignagni: The first day I started here I did a town hall meeting for all of our employees and indicated with a great deal of specificity that we were officially in a turnaround situation. Based on the 2014 financials, that was not a secret. It was clear to me that we needed to move very actively and aggressively to address those issues, but also to talk about growth and the opportunity to build on a number of strengths that I saw here. Best noted that in the last part of '15, which is the first quarter that I was involved in, the situation was different than it had been previously. The financials demonstrate that the strategies that we began to employ on Sept. 1 and beyond are beginning to work. We are going to be looking at making sure that our infrastructure is as efficient and effective as it needs to be so that we can completely engineer our turnaround, and we can build on the value-based contracts that we have developed. We have been the market leader in value-based payments, and we have taken another leap in that direction. We're two-thirds value-based payment … and based on the partnerships that we are securing presently, we will increase that percentage quite substantially. MH: Does that include ACOs, bundled payments and full capitation? Ignagni: Accountable care organizations are definitely in scope for us. If they are upside arrangements only, that's not true value-based. Value-based means being in a position where you can share gains, share losses and share responsibility with your provider partners. As we've executed here at Emblem, we consider our clinicians and our hospitals our partners. We are doing risk transfer as opposed to simply the upside arrangements you see throughout the market today. So when we talk about accountable care organizations, we mean the “A” part, the true accountability, and that means looking at risk transference and looking at risk-sharing. We have capitation agreements, so we've already engaged in full-risk agreements with certain provider partners. We have and are in the process of executing bundles with providers that are not prepared to take full risk or a very high percentage of risk. Emblem, because it has had such a long tradition of care coordination, managing care and the ability to do data-mining, we have the technical support systems that our provider partners want and need to be able to exchange risk. MH: Are hospitals and doctors reluctant when you ask them to take both upside and downside risk? Ignagni: We have had long-standing relationships with physician groups that have matured over time and allowed us to evolve into capitation-like agreements. On the hospital side, what I've been particularly excited about in coming here is the interest and willingness of our hospital partners to explore risk agreements. One of the variables that hospitals find very intriguing about Emblem is our physician group network. We have one of the largest group practices in our New York area called ACP New York (AdvantageCare Physicians), and it's a group of both primary-care physicians and specialists that allows us to engage in conversations with hospitals that involves not only the payment arrangement, but the clinical pathways and the relationship between the group practice and the hospital. We're in a different position at Emblem because we have a mini Kaiser. We don't have the hospital part, but we do have the physician part. MH: Do you think the ACA exchange markets are sustainable? What needs to be improved? Ignagni: We are participating in Connecticut and New York. To be successful in exchanges, it's very important to be able to coordinate care, to do early intervention and to create those clinical pathways in partnership with physicians to provide a high-value experience for your customers. Our infrastructure of disease management and care coordination is going to be very important to being strong participants on the exchange. MH: Your Medicare Advantage enrollment dropped a little bit since you started. Where do you see it going forward? Ignagni: I definitely see us growing in Medicare Advantage. MH: But why the drop? Ignagni: There was a little bit of drop as we focused on our infrastructure, our turnaround. Turnaround was job one. Now we are moving forward. We will be bidding both on Medicare Advantage and on exchange business. MH: What are the biggest changes happening to employer coverage? Do you think that job-based insurance will eventually disappear? Ignagni: Employers will decide that question based on their labor markets and how employee benefits are seen as valuable for their employees. A number of employers believe that it's a very valuable benefit particularly in a labor market that's tightening up, where there's more competition for workers. I anticipate that a number of employers will continue to offer those benefits. They are obviously looking at their balance sheets and looking at achieving some predictability. What are the strategies to do that? There's interest on the part of employers in fashioning benefits that encourage individuals to get into the system early, treat their healthcare conditions and do that with low cost-sharing … to think about cost-sharing far more strategically rather than as a blunt instrument. More and more employers are at least talking with us about designing those types of benefit structures for them. We will be doing quite a lot of that for our employers and our union customers and for some of our public sector customers. There is a real strong awareness in the employer community that new and innovative benefit design can provide a pathway to the balance sheet discipline that they're looking for. We can play a major role in not only giving them the cost savings they need, but improving that value for money and value for investment. MH: Are you talking about value-based insurance design? Ignagni: No, it's a little different than that. That's one strategy employers can look to. Other employers are strategically aiming cost-sharing at areas beyond prevention and disease management, where you encourage people to pursue early intervention and health maintenance. It's different than your traditional 80/20, 70/30 kind of relationship. MH: How do you see this election campaign cycle affecting healthcare policy? Ignagni: One of the tangible developments of this election cycle is the movement of the high cost of prescription drugs into the political sphere. You see quite a lot of conversation on both sides of the aisle about that. The reason is not only the high cost, but the lack of transparency, the inability to determine whether or not the costs are associated with R&D or with other administrative costs, marketing, profit and other costs in the system. That's important for the American people to know. That's going to be a very important focal point of this election year discussion just the way the issue in 2008 was bringing people into the system. MH: Shouldn't transparency be extended to insurers and hospitals and doctors, especially with this push for consumers to shop for prices? Ignagni: It already is for insurers. We have MLR (medical-loss ratio) where we have to be very specific about disclosing what's part of the medical care side, what's on the administrative side. People can look very transparently at those distributions. We do not have anything similar—it's an opaque process—in the pharmaceutical arena.